A large cylinder of glass serves as a manually-spun platter for an altered turntable, playing an original composition cut to acetate. Void of a motor of any sort, the turntable slows over the course of the composition, eventually coming to a complete stop. Throughout the experience, tempo and pitch fluctuate, exploring perceptions of speed, elasticity, and entropy. Brooklyn Vegan premiered the EP last week, coinciding with more shows with the always-incredible Shabazz Palaces. Check out the video (a single shot of the sculpture in action) and audio (three different versions of the compostion) below. Special thanks to Steven Probert for shooting the cover image and video and to Josh Bonati for cutting the acetate. Parquet Courts recently announced their new EP Monastic Living. The recording was done at Sonelab and in their practice space (by band member Austin Brown), and Austin and I mixed and mastered it last month at Doctor Wu’s. I don’t want to give too much away, but it’s a weird one! Monastic Living is out November 13th on Rough Trade. Stereogum recently announced the new Lushes album Service Industry. I spent some time with the group this past winter, developing synth parts and treatments across the record, which was recorded and mixed by Aaron Mullan (Sonic Youth, Tall Firs, et al). The album comes out October 16th on Felte Records, and you can stream the first single “Low Hanging Fruit” below. Also coming soon: Do You Remember Real Pain, one of two new EPs by Rat Columns (aka David West). 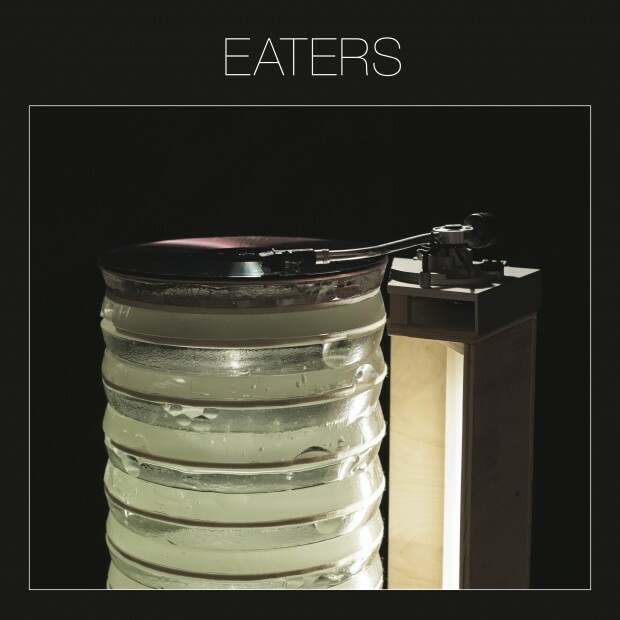 I met David when Eaters and Lace Curtain (one of his many other projects) toured together last fall, and we started mixing when we got off the road. I mixed and mastered 4/5 songs for the EP (which you can stream below), to be released August 20th on Adagio 830. (His other EP – Fooling Around – is out now on Blackest Ever Black). Honduras just released a video for “Paralyzed”, the first single from their upcoming album RItuals. I produced this record a while ago – recorded upstate at Outlier Inn, mixed/mastered at Doctor Wu’s in Brooklyn – so it’s excited to see pieces of it shared with the world. It’s a great record, and though it sounds like we have longer still to wait for the full thing, you can check out the video and audio for “Paralyzed” now. I wrote about this in my last post, but there has now been an official update to the delayed Optimo Music post-punk compilation that I re-mastered and restored along with Michael Train this spring. Originally titled Now That’s What I Call DIY! (Cult Classics From the Post-Punk Era 1978-82), the double-LP collection was set to be released this month before Sony – who is behind the series Now That’s What I Call Music! – issued a cease and desist. Optimo couldn’t reach an agreement with Sony’s lawyers, so all of the original packaging has been destroyed and the title has been changed to [Cease and Desist] DIY! The compilation is truly great, so I’m pleased to announce that it has a new release date of October 30th. Read more of the story and the full track-listing on Pitchfork, and check out a sampler of the collection below. I also worked with Michael Train to restore and remaster the long out-of-print back-catalog of late 70s/early 80s Aussie post-punk group the Sunday Painters. The first reissue in the series was a collection of early singles called In My Dreams, which was released earlier this year. Their two subsequent full lengths – Something to Do and 4th Annual Report – are coming out August 28th via What’s Your Rupture. As with In My Dreams, these reissues have been lovingly restored and feature bonus downloads of never-before-heard live recordings. Check out “Something to Do” and “Shattered Lens” below. After mastering the compilation American Music this spring, I recently mastered five different EPs for GODMODE Records, one of my favorite local labels. Yvette, Soft Lit, Fitness, and Hand of God all have new EPs coming soon; Fasano’s The Beach EP is out now (streaming below). I recently spent a few days in the studio with Junk Boys, recording/mixing/mastering a full-length record as a follow-up to the EP we did this winter. It rips!! I also mixed a commercial for director Robin Comisar (creator of the short Mom Died that I sound designed and mixed). The commercial is for Crossfit, and features a 79 year old woman using the fitness program for rehabilitation. The ad is playing on ESPN, and you can stream it on Youtube as well. Thanks as always for taking the time to read this! Much more in the works – finishing the next Eaters LP; lots of records; maybe some short films; and hopefully some more beach time before the end of summer! 4th Annual Report, Crossfit, Do You Remember Real Pain, doctor wu's, Eaters, Fasano, Fitness, Godmode, Hand of God, Honduras, Junk Boys, Lushes, Moment of Inertia, Monastic Living, Optimo Music, Outlier Inn, Paralyzed, Parquet Courts, Rat Columns, Rituals, Robin Comisar, Seaside Lounge, Service Industry, Soft Lit, Something To Do, Sunday Painters, The Beach, Time Management, Yvette, [Cease and Desist] DIY!